Real Life Stories > What happens when it snows at the zoo? What happens when it snows at the zoo? These adorable pictures of the animals at the London Zoo enjoying the snow are too cute not to share! These curious Meerkats are having so much fun playing with this snowman. It doesn't look like his carrot nose is going to be there very long though! Feeding time for these hungry penguins who look right at home in the snow. This cheeky squirrel monkey looks like it's up to mischief with this snow ball. Let's hope he isn't aiming for one of the London Zoo keepers! 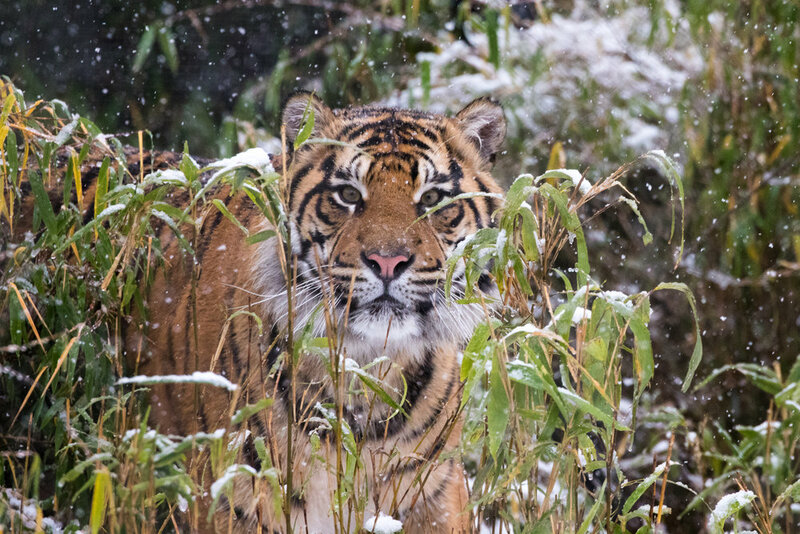 This beautiful tiger doesn't look too sure about the snowy weather! Why have some nurseries banned glitter this Christmas?